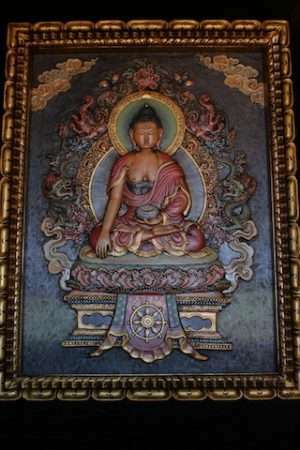 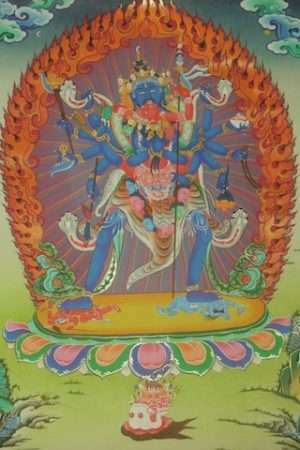 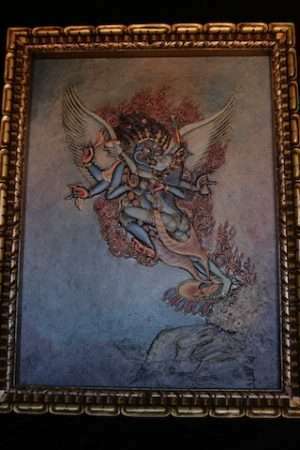 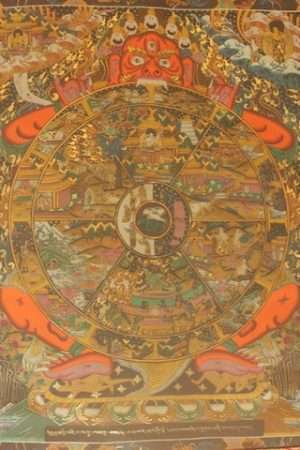 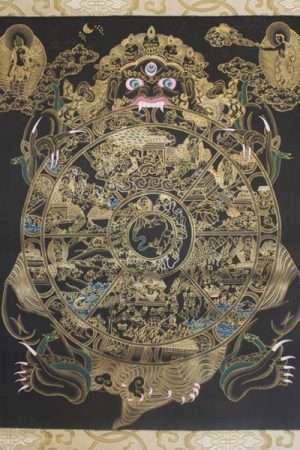 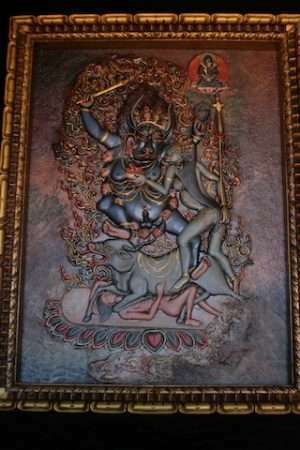 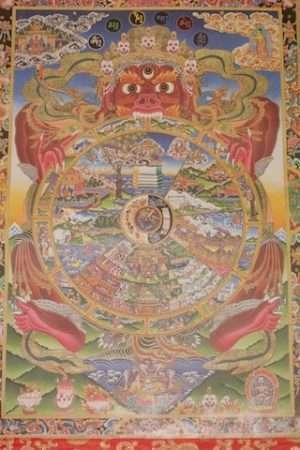 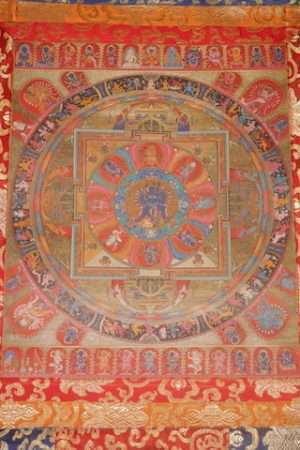 Various other Buddhist deities and figures such as Wheel of life thangkas, Samantabhadra, Prajnaparamita, Milarepa, Medicine Buddha, Machig labdron, Mamaki, Kalachakra Mandala, Vajradhara, Jambhala, Maitreya and others all of which represent different manifestations of the awakened mind. 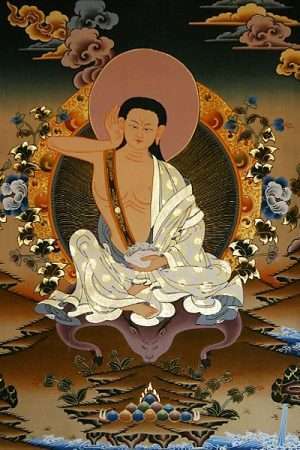 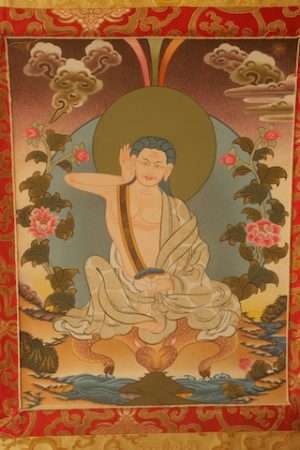 Milarepa lineage is the Kagyus one of the Major lineages of Tibetan Buddhism. 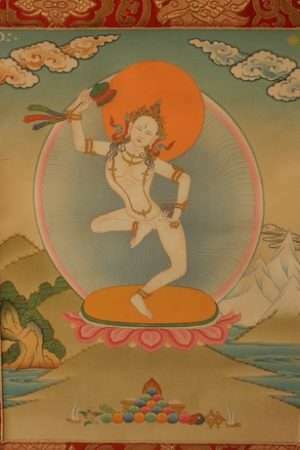 He is a classic yogi figure meditating in the High mountain wilds and singing his songs of awakening. 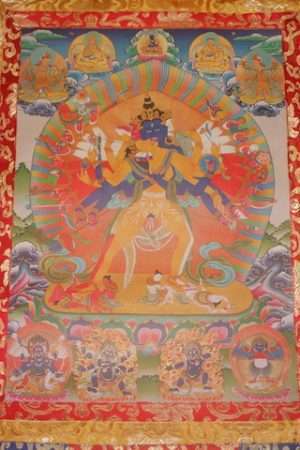 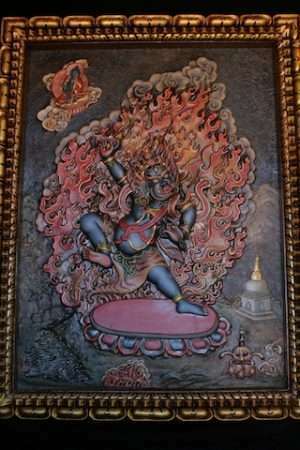 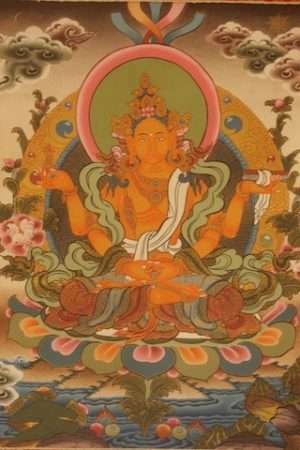 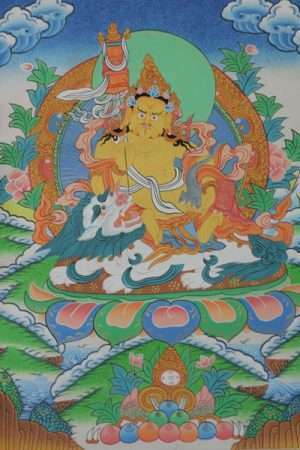 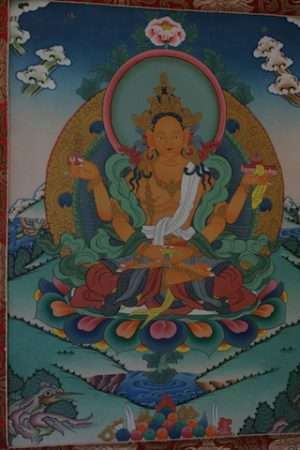 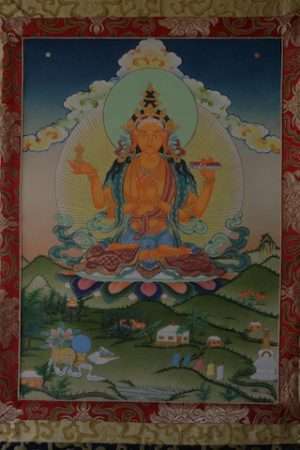 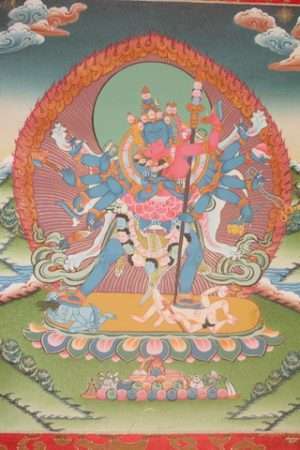 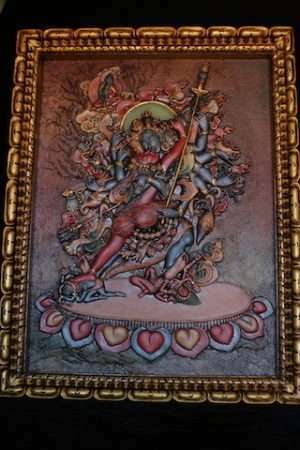 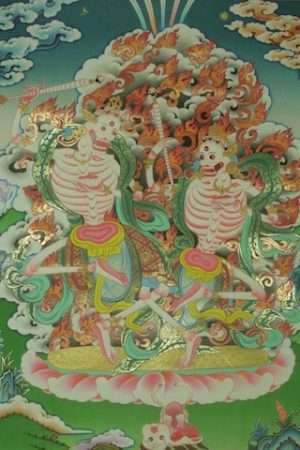 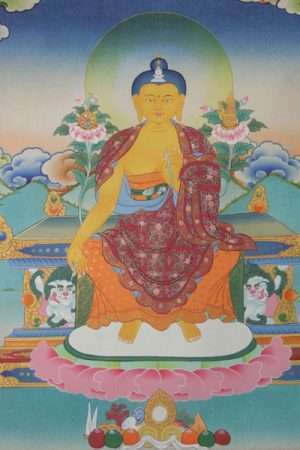 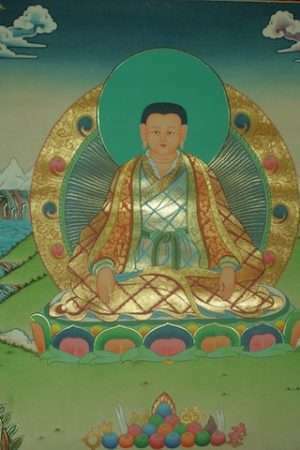 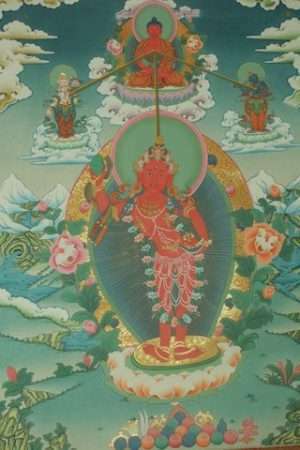 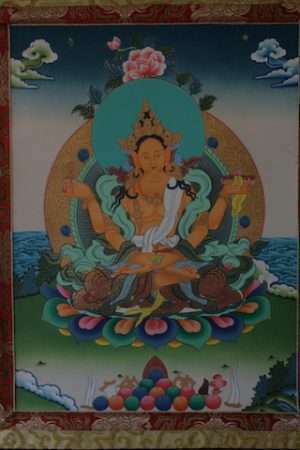 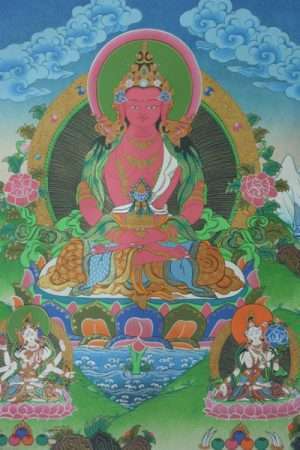 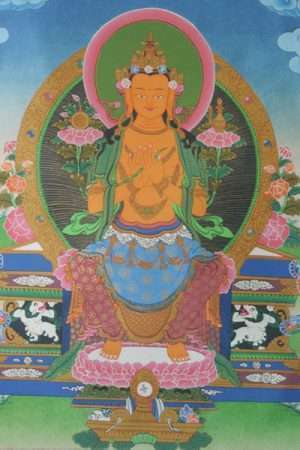 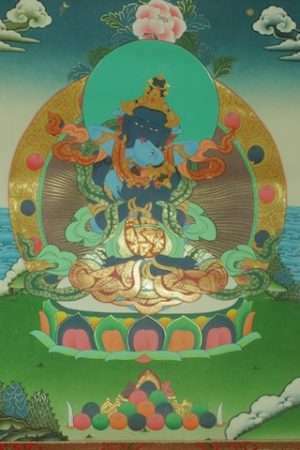 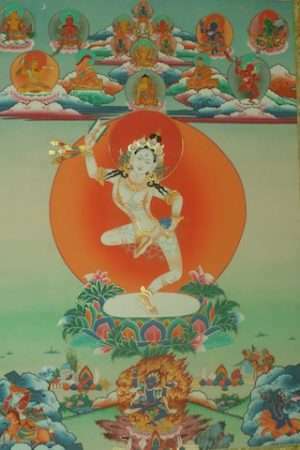 Machig Labdron created the vital practice of chod. 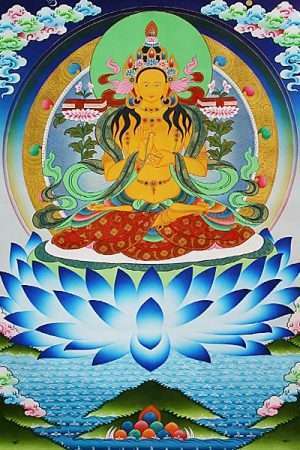 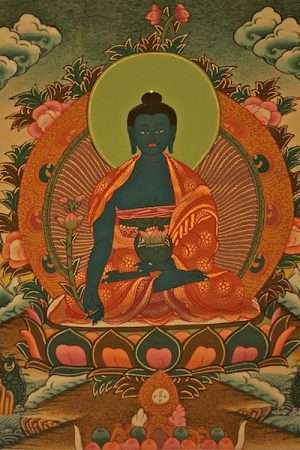 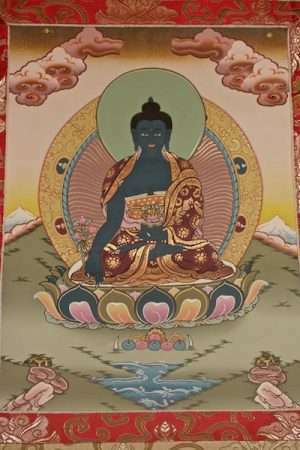 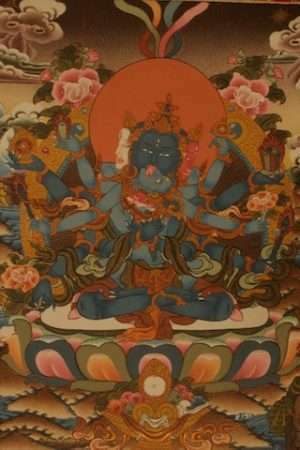 The medicine Buddha represents the Healing aspect of the Buddha’s teachings and practices. 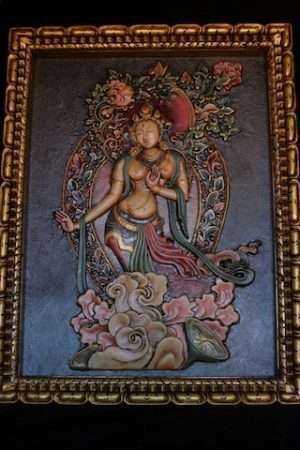 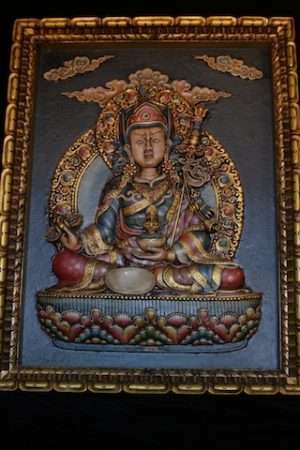 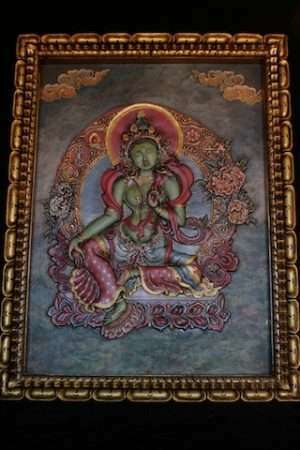 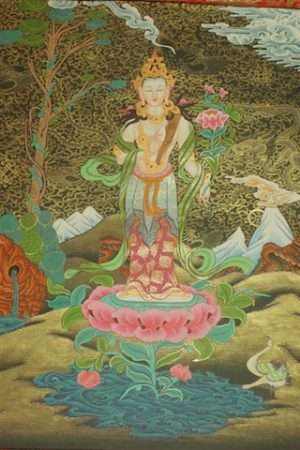 Prajnaparamita is said to be Mother of all Buddhas, Prajna or wisdom. 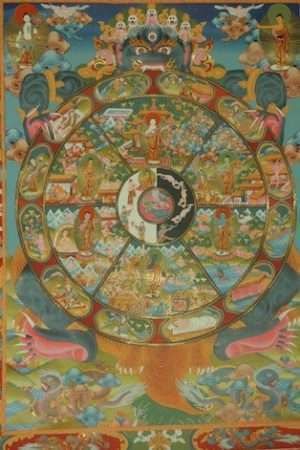 The wheel of life is a visual teaching of Karma and conditionality.